After more than two weeks exploring of nature beauties of Formosa (meaning beautiful, as Portugese nicknamed the island) it was time to head back to a city. 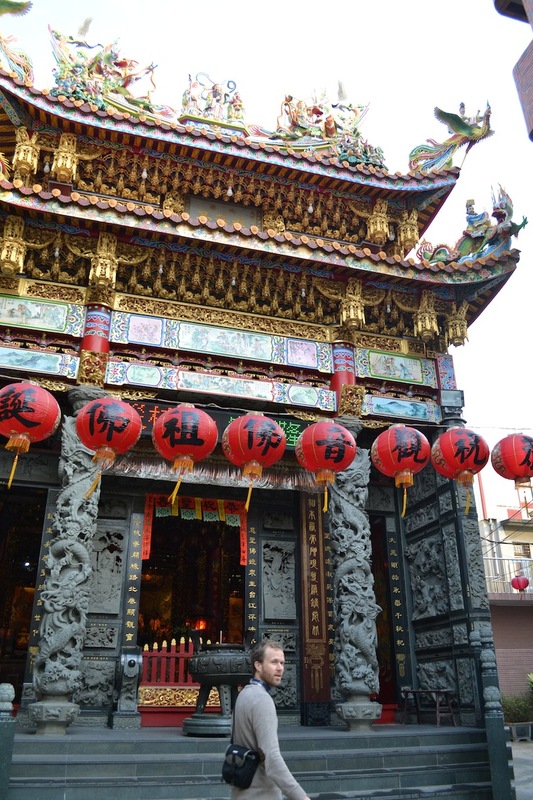 As it was somehow on our way and is rich in history, we made our way to the city of Tainan. Crossing the island at its southern part from east to west, after 4 hours on a train and a stopover in Kaoshung, we arrived to the busy train station. This time we decided to go wild and not book any place to stay in advance. Upon arrival we went to the local visitors centre to ask for maps as well as some options for hotels, when a stranger looking for lost and found approached us: ‘I know a hostel’ and wrote down Charlie’s phone number. A bit weird we thought, but gave it a chance and called. 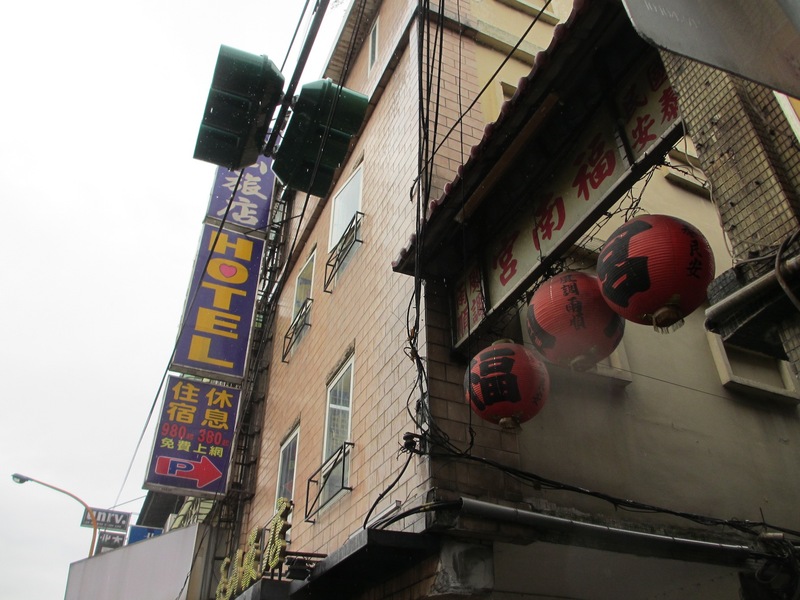 It turned out Charlie runs 2 backpackers hostels in town and offers basic rooms for extraordinarily cheap prices. We followed his instructions and ended up checking-in into his Darwin hostel in the city centre. Having no plan for next few days and seeing the opportunity to save on accommodation, we decided to stay for 4 nights, last 2 in his Anping branch. 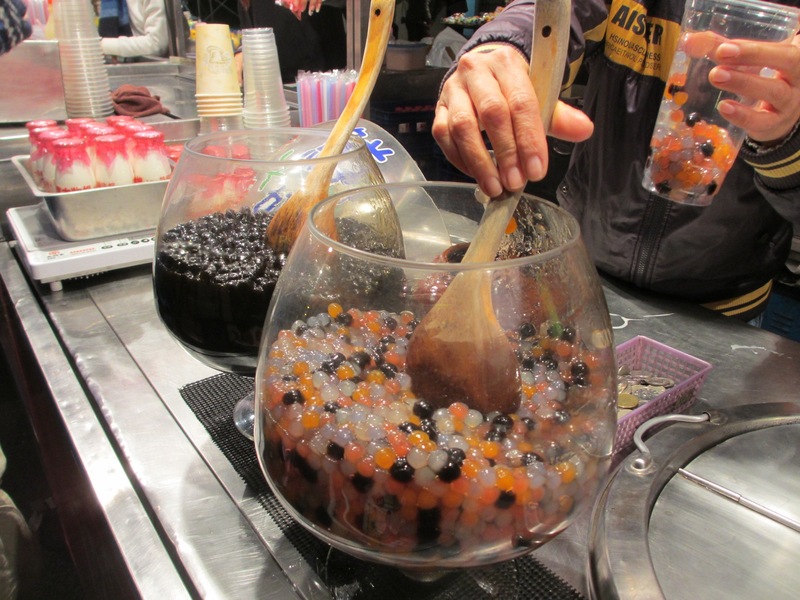 Taiwan is a country of snacks and street food. We have been experiencing it ever since we arrived (remember our 1st night with the kids sampling stinky tofu and other funny things?) and enjoyed it very much! (In fact, we are writing this already in Philippines and already miss it! ).So you can imagine how happy we were to see a schedule of nightmarkets day-by-day on a wall of Darwin’s reception. We dropped our bags and walked half an hour to indulge in oyster pancakes, sausages, fried dumplings or even edemames that we craved so much ever since we left Bahrain. Edemames are young soya beans prepared steamed and served with crystal salt or spicy. We spend the next morning catching up with all things online and some planning for our next destinations. In the afternoon we took a tourist bus to a starting point of a Lonely Planet walking tour of the multiple temples in the city. There are 2 tourist busses with 2 different routes around the city (No.88 and 99) and unlike said in LP, they are not free but cost 18nt$ per person per trip. There are also daily tickets, but we did not try these. The city certainly doesn’t lack places to go when you feel the need to talk to gods. Temples are almost on every corner. Praying in some will bring you good fortune with your exams, in some you can ask for protection for your children, in others you can talk to dead anf there are also those for general enquiries. All are united in their layout, intricate designs with dragons on the rooftops and colorfully dressed idols. A few businesses selling offerings to gods surround every one of them. 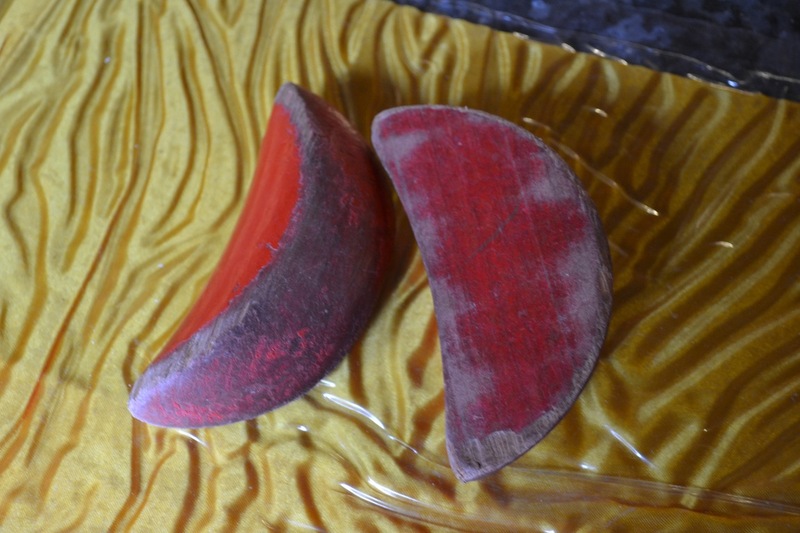 Mostly paper money, inscence sticks or even fruits packed together represent the perfect gift for a god in exchange for blessings. 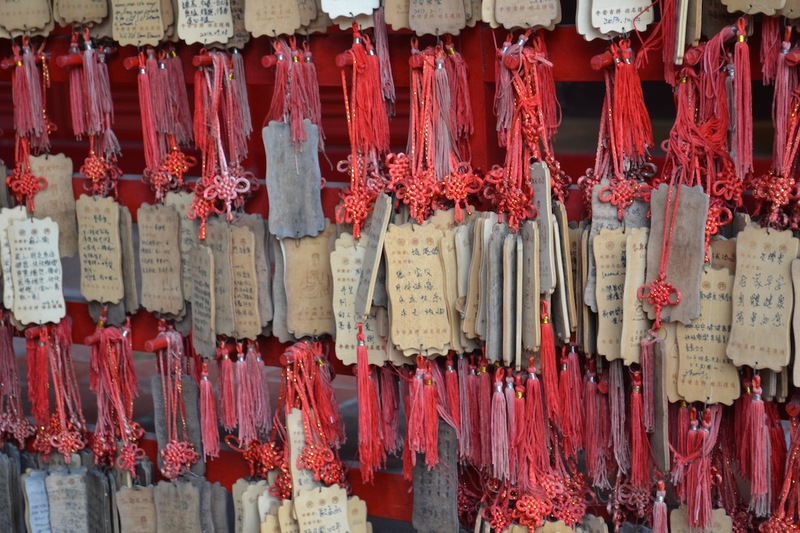 There was one temple that was a bit different – Dongyue Temple – where people come to communicate with dead. The temple was busy with people kneeling down and repeatedly throwing 2 wooden pieces on the ground (seemingly reading what position they fall into). Gods in here have somewhat scary demonic look as most of them are pitch black and the walls of last chamber are ‘decorated’ with images of torture and death representing hell. 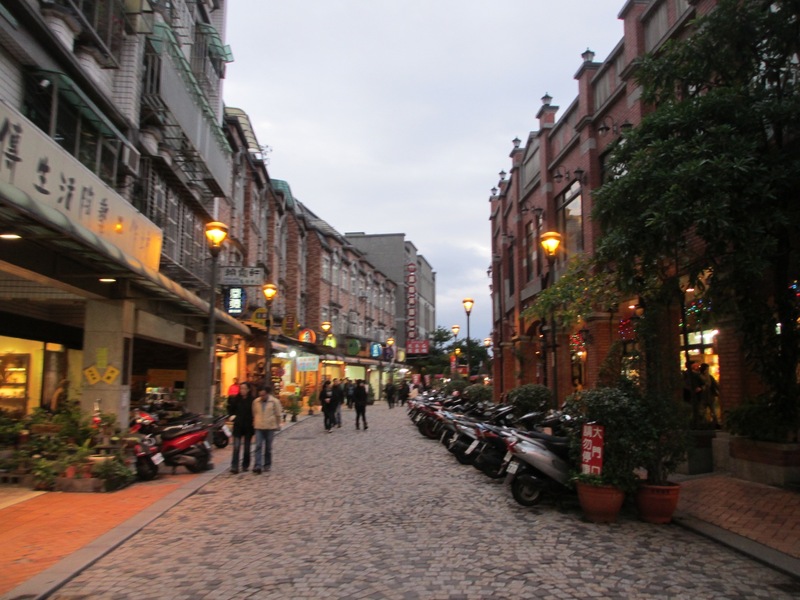 The last 2 days we spent walking the streets of old city of Anping. 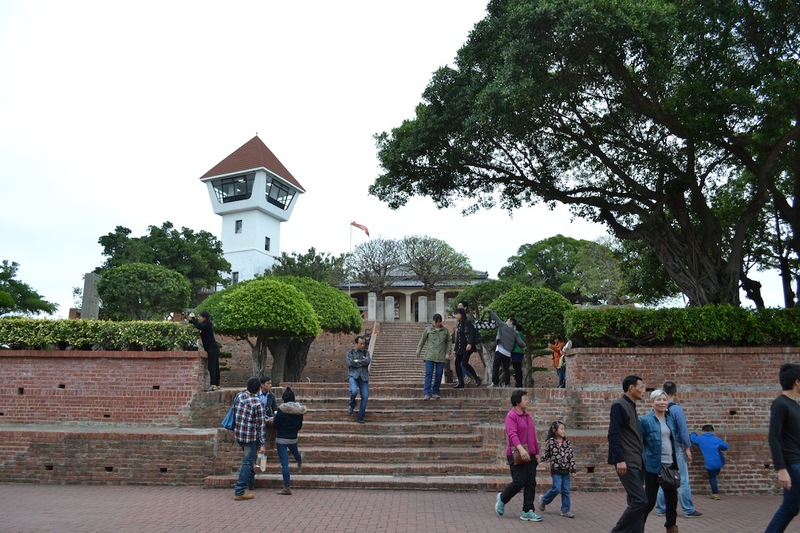 This was the place where the Dutch VOC during their short rule of Taiwan (38 years) built their first fort and established a commercial centre. Remains of the fort reconstructed by Japanese later on are available for visitors. In the fort there is a statue that depicts Dutchmen handing over the city to Koxinga who ended their rule. Funny enough, the Chinese characters in this statue are almost twice taller than the Dutch ones… The short rule of Dutch is also described in the tree house museum where it shows how they influenced the locals back in the days. E.g. they brought cleaniness into local households, brought laws that made people build brick houses instead of bamboo ones, forbid having dogs without permit, set specific places for garbage disposal etc. 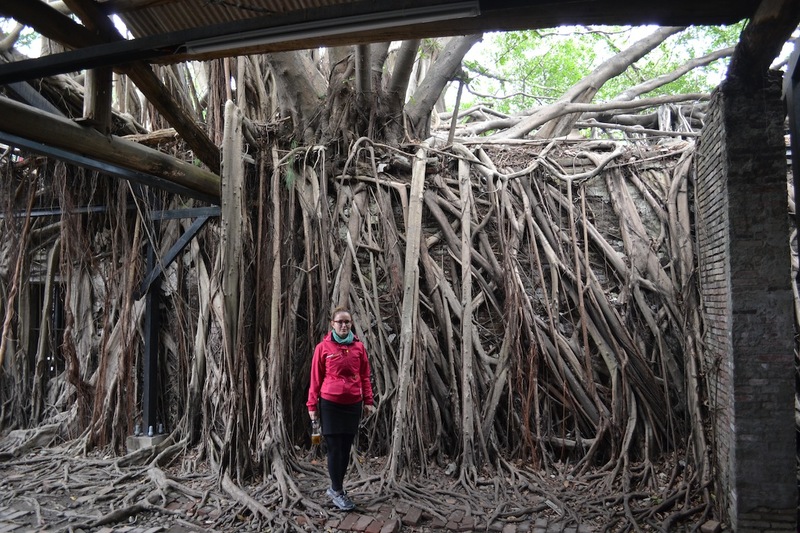 Speaking about the tree house, this is one of the must see atractions of Anping. It wasn’t what we expected, but this tree house was probably even better. 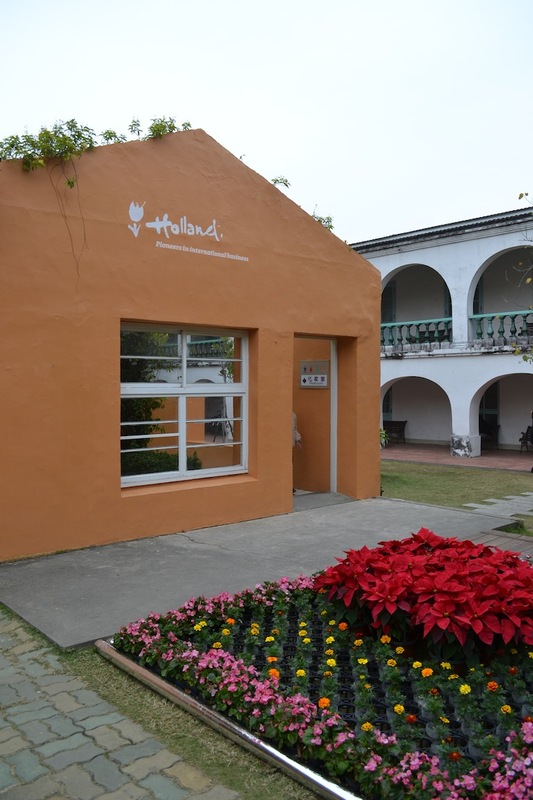 Once abandonded complex of merchant houses and salt factory workers dormitories is now available for public, but it is not the old furniture and factory museum that people visit so much. 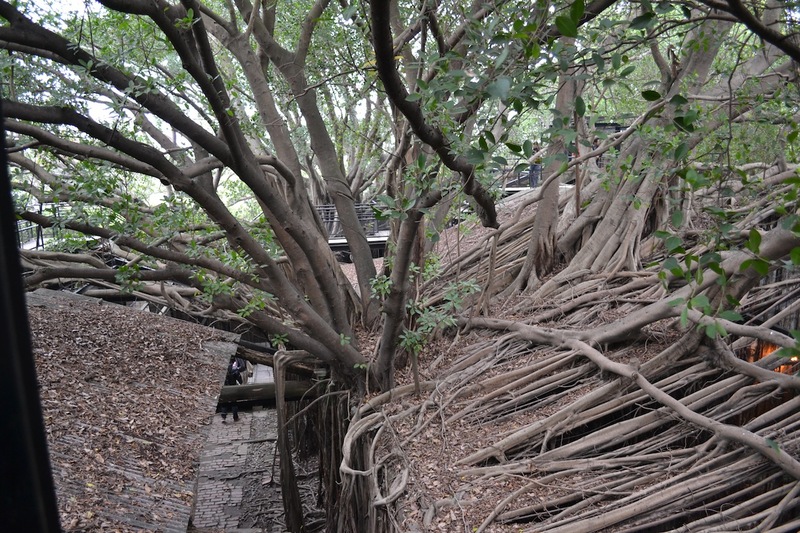 It is the banyan trees that grew over and through the old houses that draw the attention. And, of course, more streetfood. Just before our last night in Taoyuan where we said bye to Nicky and her family who showed us such good time on our first days in Taiwan, we made a one-night-stop in a town of Yingge. The town is foremost famous for its pottery and ceramics factories and shops. We came with a plan to buy ourselves a nice set and have it sent home by post to wait for us when we are back an ready to settle. However, we got overwhelmed with the variety and agreed we will one day come back to furnish our future home, let’s see! See all the best pictures from Tainan and Yingge on G+ here. for revisiting. I surprise how much attempt you put to make this kind of great informative web site.